You can use our mobile apps or you can use a browser and visit buddypunch.com and click on Login. 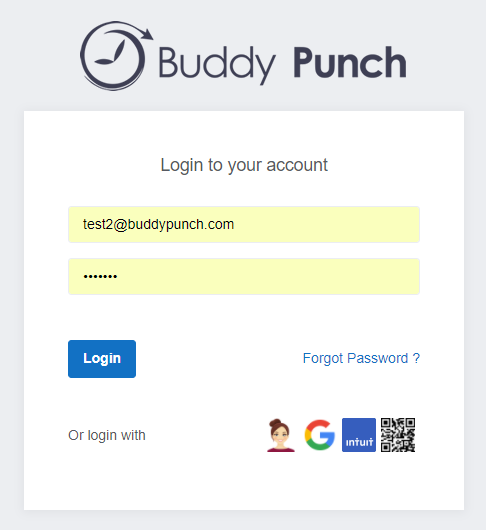 Your administrator will tell you how you'll be logging into Buddy Punch. You can login using a username and password, a QR Code, or our Facial Recognition feature. Your administrator may restrict you to which method you can use. Logging in is different than punching in. Logging in will get you to your account, where you can then punch in/out, view your time card, and view your PTO calendar (if your company is using PTO tracking).